Vice President Joe Biden just might have been ahead of his time. In 2006, then-Senator Biden was the ranking member of the Senate Foreign Relations Committee. 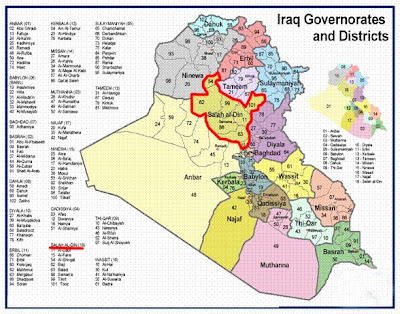 While in that position, he proposed that Iraq be divided into three separate regions along ethnic and religious lines. Specifically, he called for Kurdish, Shi'a and Sunni areas with a central government in Baghdad. The Iraqi constitution allows for the formation of autonomous regions - the Kurds have already taken advantage of this and created the Kurdistan Region comprising the three governorates of Dahuk, Irbil and Sulaymaniyah. Of course, the Iraqi Kurds often refer to the area as South Kurdistan. I was recently in Turkey, and one of the questions I heard more than once from the Turks (they are aware of my history with the Kurds in northern Iraq) was, "If the Kurdistan Region is South Kurdistan, then where exactly is North Kurdistan?" In a surprising development this week, the provincial council of the governorate of Salah al-Din voted to form an autonomous region as well. The majority of the population of Salah al-Din - just over 900,000 people - is Sunni Arab, but there are also Kurds and Shi'a Arabs living in the governorate as well. Interestingly, the Sunnis were originally against the provision in the constitution allowing for autonomous regions. They were concerned that the Kurds would form an autonomous region in the oil-rich north (as they did) and the Shi'a would do the same in the oil-rich south. Thus far, the Shi'a have not made any moves to form such a region, but they really don't need to - they easily dominate the government based on their numbers. The Sunnis feared that the Kurds and Shi'a would have sole access to the country's primary resource - oil - and freeze them out of the wealth. What is driving the Sunnis in Salah al-Din to form an autonomous region? The most recent aggravation between the Sunnis - most of whom live in the areas of central Iraq to the north, east and west of Baghdad - and the Shi'a dominated government is a massive arrest campaign targeting members of the outlawed Ba'th Party, the party of former dictator Saddam Husayn. The Salah al-Din governorate includes the city and environs of Tikrit, the area that was home to Saddam Husayn. The Sunnis believe that autonomous region status will shield them from the Iraqi security services. In addition to the security crackdown in the governorate, the Sunnis believe that the central government in Baghdad is not allocating national resources fairly to the Sunni areas. They complain that the only city in Salah al-Din that is treated fairly is Sammara' because that city is the home of the shrines of the tenth and eleventh imams of the Shi'a sect. It was this shrine that was bombed by the late al-Qa'idah in Iraq (AQI) leader Abu Musa'ib al-Zarqawi, an event that triggered a civil war between the Sunnis and Shi'a. That bloody conflict lasted until the 'Anbar Awakening in which the local Sunni tribes turned on the mostly foreign fighters of AQI. If the leaders of Salah al-Din think that forming an autonomous region is going to stymie the Iraqi security services from hunting down remnants of the Ba'th Party and Saddam loyalists, they are mistaken. The Shi'a suffered terribly under Saddam and the Ba'th and will not be deterred from hunting down anyone still wanting to be a Ba'thi. Will Iraq go the way of the Biden plan? I doubt it. The Kurds have been autonomous for decades and have proven to be such a problem for central governments in Baghdad that it works better to allow them to be autonomous as long as they do not abuse it - as they have tried on more than one occasion. The Shi'a will probably not try to unite the southern provinces into a "Shi'a-stan" since their political alliance with the Kurds gives them the dominant political role in the country as well as key positions in the ministries and government organizations. On the other hand, I am surprised that the Sunnis have not attempted to unite the Sunni heartland, but it probably would do no good even if they did. That said, who knows - maybe Biden will be right. The only - and major - difference is that the Iraqis will do this themselves rather than have the Americans do it for them. Iraq - Obama spins another policy failure into a success? (Note: This should be read in conjunction with my July 30 article - click here or on image to open in new tab). October 21 - President Barack Obama announced today that after speaking with Iraqi Prime Minister Nuri al-Maliki that the United States and Iraq were in "full agreement" on the complete withdrawal of American troops from Iraq by the end of the year. I am surprised that the announcement was not accompanied by a warning to DC area residents to remain in their homes or be swept up by the vortex caused by the incredible spinning coming from the White House. Today's claim goes beyond the normal spinning we have come to expect from this Administration. Today's spin was replete with references to the deaths of al-Qa'idah leader 'Usamah bin Ladin and Libyan dictator Mu'amar al-Qadhafi and the continued - and ill-advised - scheduled draw down of American troops in Afghanistan. 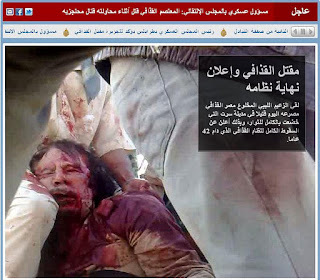 We should expect that, after all, the death of bin Ladin and al-Qadhafi are successes, albeit a bit more nuanced than the President would have you believe (see my earlier article, Mu'amar al-Qadhafi dead in Libya - what took so long?). However, to spin this obvious foreign policy failure into a success is a stretch for even this White House - the claim that Iraq and the United States are now in "full agreement" is disingenuous and misleading. That's a polite way to say that it's a lie. The President continued, "The last American soldier (sic) will cross the border out of Iraq with their heads held high, proud of their success and knowing that the American people stand united in our support for our troops." On this, he is correct - the American troops (I am including the marines, airmen and sailors in addition to that soldier he mentions) should hold their heads high. They did their part, they were successful. However, this Administration has not been. The "full agreement" the President cites is actually an admission of failure. Over the past six months, the Administration has been in almost crisis mode trying to secure an agreement whereby some American troops could remain in Iraq past the December 31, 2011 deadline established in the Status of Forces Agreement of 2008. This Administration has had almost three years to make an arrangement with the Iraqis - as provided for in the SOFA. Now we have today's admission that the effort has failed. 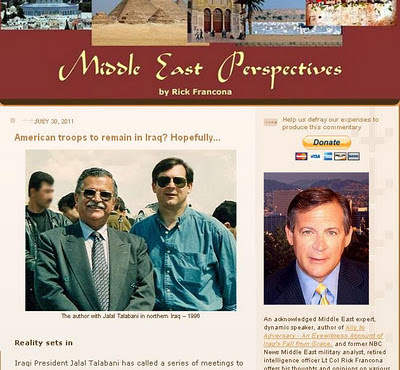 American commanders wanted to keep between 15,000 and 25,000 troops in Iraq as trainers of the not-ready-for-prime-time Iraqi forces and as a contingency force. This failure will put at risk many of the gains achieved by almost nine years of the expenditure of American blood and treasure. Given Iran's constant meddling in Iraqi politics and its lethal operations against American troops in both Iraq and Afghanistan, combined with the fact this region is critical to American national interests, it is important that we have a presence in the region. Thanks to this failure, there will be almost no American troops on the ground in the Middle East. That may come back to haunt us the next time a crisis - and there will be one - erupts in the region. Mr. Obama, you may think that this ends our involvement in Iraq and frees you up to focus on your domestic agenda - national security has never been your strong suit - but I venture to say we will be dealing with the fallout from this failure for years to come. You have committed one of the worst sins of a President - you have broken faith with the troops. The State Department announced that it will take into consideration an upcoming report on how Bahrain handled recent protests in the Gulf kingdom before approving the proposed sale of $53 million of American-made weapons. The State Department announcement is in response to Democratic senators who voiced concern that United States was in effect arming a nation who may have abused its citizens' human rights. They cite the Egyptian example that we might be perceived as arming a repressive government, a perception that in the future might harm our relations with the Bahraini people. I have problems with the arms sale package, but not because of the concern over the ruling family in the Kingdom of Bahrain. My issue is with the makeup of the arms package itself - we're selling them the wrong weapons for their needs. I understand that a $53 million sale would be nice for contractors AM General and Raytheon, but isn't someone advising the Bahrainis on what they need? Let's take a look at the relationship between the United States and Bahrain. Bahrain has been a staunch ally of the United States for years, in fact, the U.S. Navy's Fifth Fleet is headquartered in the island kingdom. 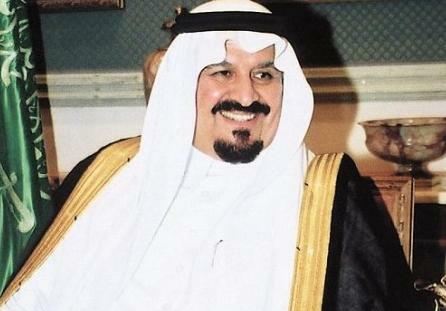 The Bahraini royal family, the Al Khalifah, is Sunni in a 70 percent Shi'a country. Because of the Shi'a's natural affinity for the Iranians, Iran has been a constant thorn in the side of the Al Khalifah. 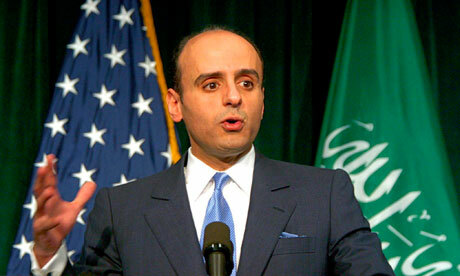 The United States supports Bahrain's efforts to minimize Iranian influence on the island. Despite that, the Iranians have fomented unrest in the Shi'a community. The Iranians have gone so far as to claim that Bahrain is actually part of Iran. Given the fact that the kingdom is ruled by a Sunni minority, it is doubtful that in a future change of government the Shi'a majority will ever gravitate towards the United States, so I think we should not consider how our support of the al Khalifah is viewed by the Shi'a. When push comes to shove, they will align with their Shi'a allies in Tehran. The proposed $53 million arms package consists of 44 up-armored Humvees, 48 TOW anti-tank missile launchers, almost 300 TOW missiles (in various configurations), and associated night sighting devices. Approval of the sale requires the Defense Security Cooperation Agency to certify that it will contribute to the foreign policy and national security of the United States, specifically in this case, "by helping to improve the security of a major non-NATO ally that has been, and continues to be, an important force for political stability and economic progress in the Middle East. The proposed sale will improve Bahrain’s capability to meet current and future armored threats. Bahrain will use the enhanced capability as a deterrent to regional threats and to strengthen its homeland defense." This is where I have a problem. Armored Humvees and TOW missiles constitute an anti-armor capability, defending against tanks and armored personnel carriers. From the certification: "The proposed sale will improve Bahrain’s capability to meet current and future armored threats." Hey, DOD, just where is that armored threat? Bahrain is an island in the Persian Gulf. It's nearest neighbors are Saudi Arabia, less than 20 miles to the west, and Qatar, a little over 20 miles to the east. Bahrain is connected to Saudi Arabia by a causeway. Iran, which might pose the greatest threat to the kingdom, is over 100 miles away across the Persian Gulf. I am having trouble picturing an armored vehicle threat to Bahrain. 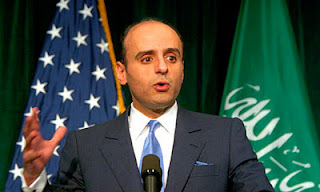 Perhaps the Saudis - a close ally of Bahrain, by the way - might run an armored column down the causeway? First, they would not do that. 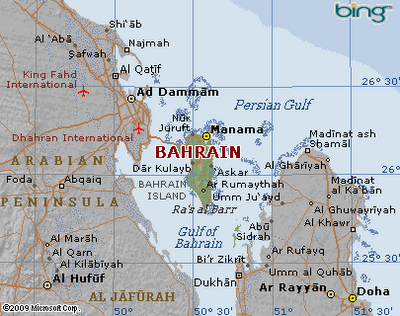 Bahrain has fairly liberal rules when it comes to Islam - Manama has bars and nightclubs. The causeway is usually packed on Wednesday (last day of the Saudi workweek) afternoons with Saudis heading for what passes for "sin city" in the region. Which brings me to the next point. In the far-fetch likelihood of an attempted incursion via the causeway, it could easily be stopped with air power. It is hard to imagine any real land threat to Bahrain. Is someone postulating that the Iranians would attempt an amphibious assault across the Persian Gulf? Here again, the answer is air and sea power. As with many of these small Gulf nations, Bahrain's best "bang for the buck" (excuse the obvious pun) lies in acquiring a capable air force and navy. 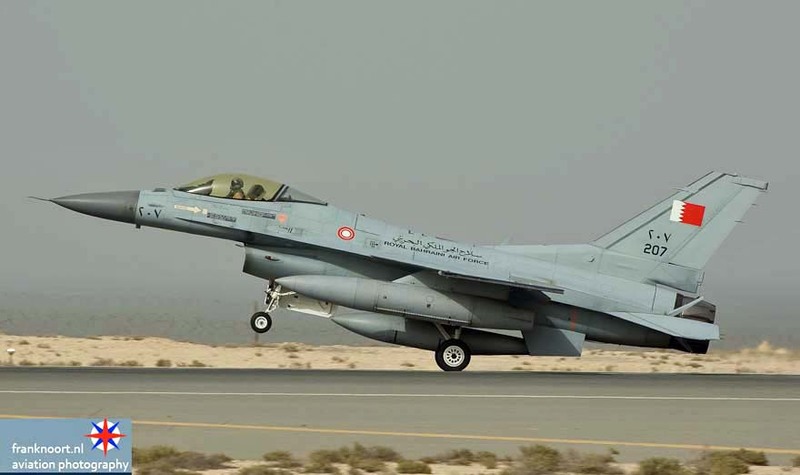 A potent air force and navy can blunt almost any threat to Bahrain, or at least buy enough time for more capable allied forces such as the United States and Saudi Arabia to enter the fray. Humvees and TOW missiles? I would ask if anyone at the Pentagon has actually thought this through, but the answer is obvious in their certification: "The proposed sale will improve Bahrain’s capability to meet current and future armored threats." In case I am being too subtle, that's a no. 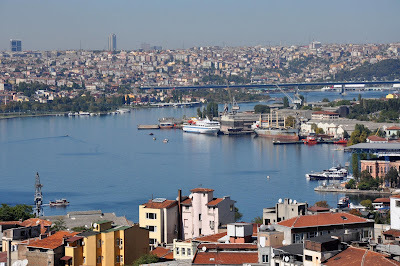 I was in Istanbul, Turkey earlier this month and happened on the MV Mavi Marmara at a dock in the Golden Horn (my pictures). 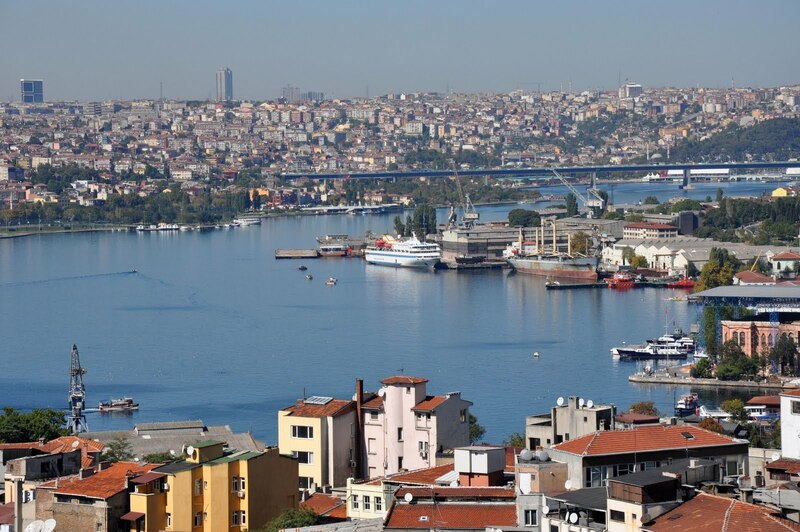 The ship was docked at an out-of-the way location not far from some Turkish government facilities. The current status of the vessel is unclear. To me, the Mavi Marmara is a bit of recent Middle East history. 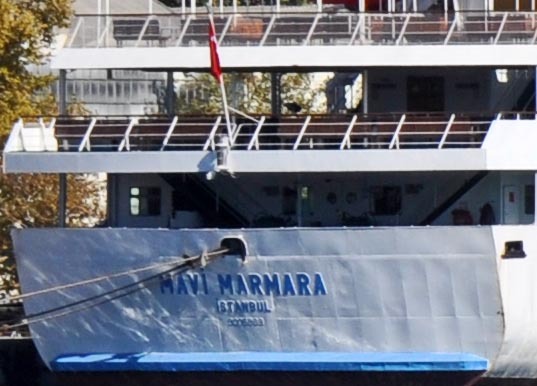 The Mavi Marmara, which translates from the Turkish as Blue Marmara (Sea) was built in Turkey in 1994. 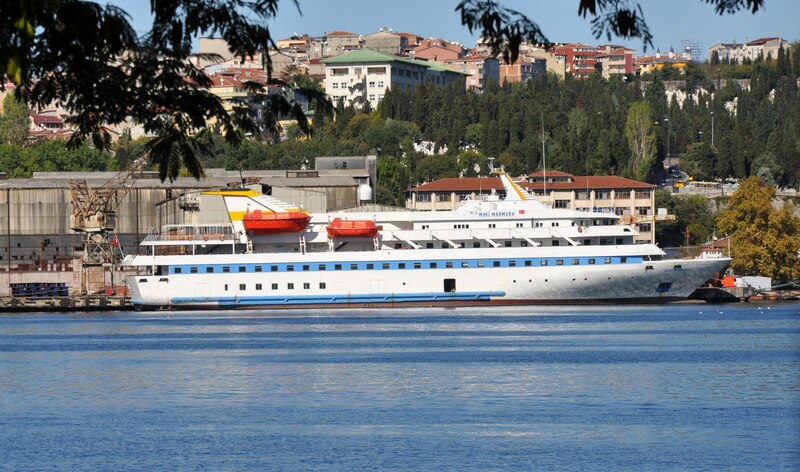 It was operated as a passenger ferry in the Istanbul area until 2010, when it was purchased for $800,000 by IHH Humanitarian Relief Foundation, an Islamic Turkish charity organization active in more than 100 countries. IHH is derived from the first three words of its full name in Turkish: İnsan Hak ve Hürriyetleri ve İnsani Yardım Vakfı, or The Foundation for Human Rights and Freedoms and Humanitarian Relief. IHH purchased the vessel specifically to lead an international effort to challenge the Israeli blockade of the Gaza Strip. Since no shipowners would allow their vessels to take part in such a dangerous operation, IHH purchased a vessel using public donations. This is interesting - the IHH has special consultative status with the United Nations, but the United Nations has upheld the legality of the Israeli naval blockade of Gaza. If IHH was looking for a confrontation, unfortunately, the Israelis obliged them. In May 2010, the Mavi Marmara participated in a convoy of ships manned by activists from 37 different countries. 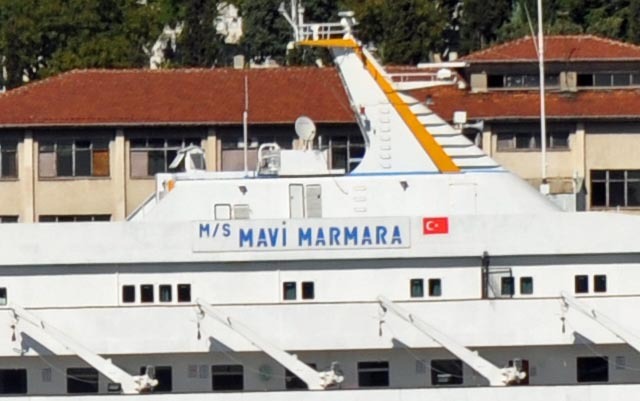 After the activists refused Israeli Navy demands that they divert to the Israeli port of Ashdod or be boarded, the Israelis began forcibly boarding the Mavi Marmara early in the morning of May 31. In the violent clash that followed, nine activists on the vessel were killed and several dozen others injured. There are mixed reports as to whether or not the ship was carrying humanitarian aid. The Mavi Marmara was released in July 2010; after being towed to a Turkish port and repaired, it returned to Istanbul in December. According to what information I can find, including several Turkish sources, the vessel is still registered in the Comoros Islands. 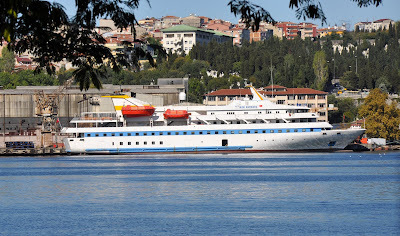 That may be, but the Turkish flag has been reapplied to the side of the ship, and the vessel was flying the Turkish flag from the stern when I saw it in the Golden Horn. During the confrontation with the Israelis in 2010, the ship did not have the Turkish flag painted on the side, although there were huge Turkish cloth flags adorning the vessel. It also flew the Cormoros flag on the stern. Most of the Turks I spoke with about this incident believe that the IHH activists were looking for a fight. 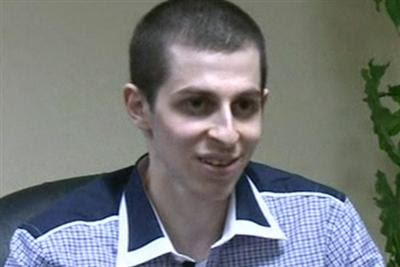 They aslo expressed surprise that the Israelis took the bait and, in their view, overreacted. I tend to agree with that assessment, but then, it's always easy to second guess these things after the fact.